Hello friends, today is Preview Day Four for Hello Bluebird Stamps newest release and the last day before the release at 7PM MST. There are a total of 6 stamps and 4 die sets this release and they're all incredible. 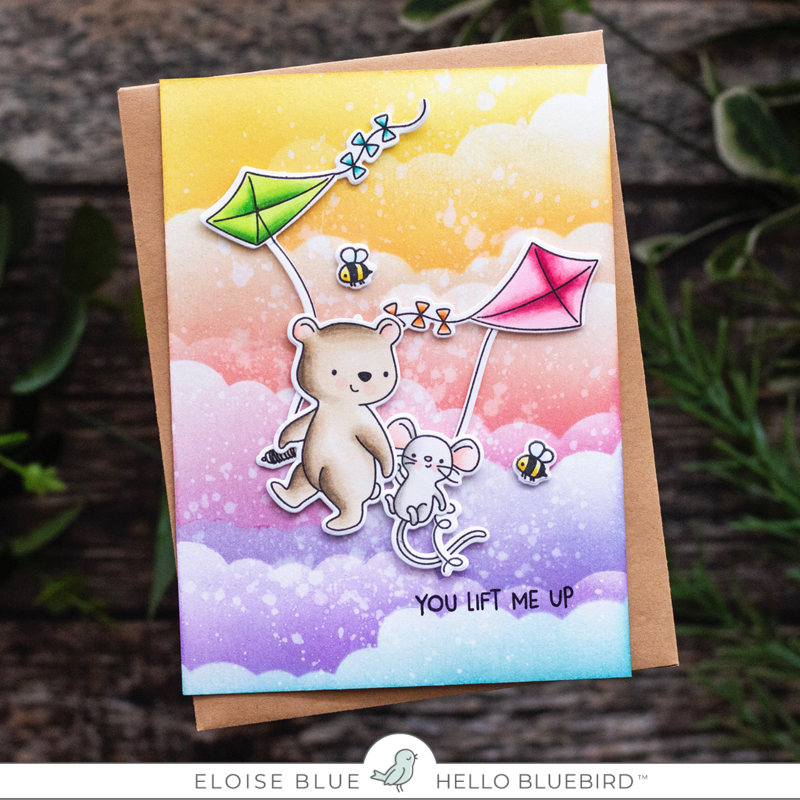 Today we are showcasing the Fly A Kite Stamp Set which features all these cute critters with their kites. I started off with stamping and colouring my images in with Copic Markers. 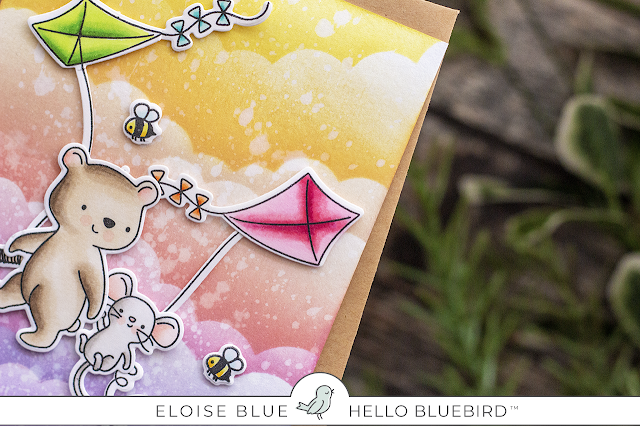 I then cut them out and adhered them together with each of their kites. Next I used a background that I had created and didn't use the other day. 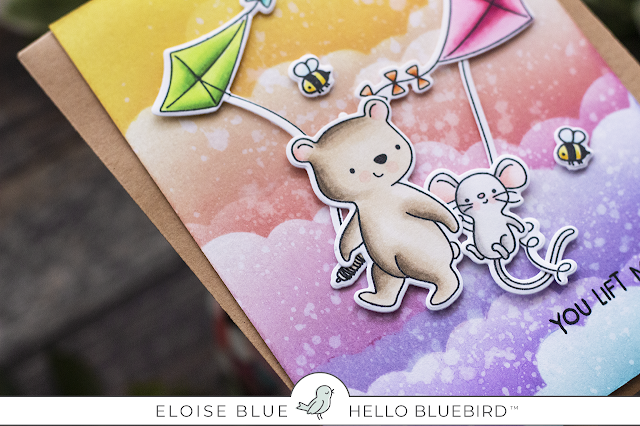 I made it by using a cloud stencil and a bunch of Distress Oxides Inks to create the dreamy background, splattered it with water and dried it off with a heat tool. 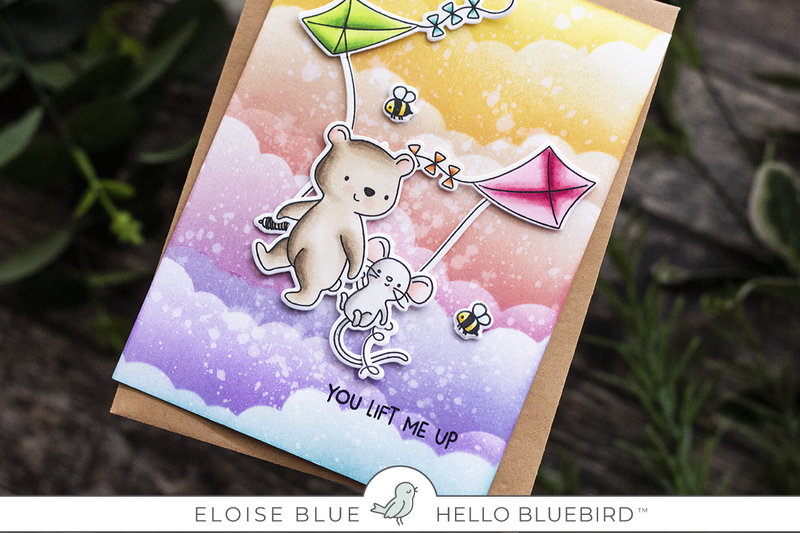 Lastly, I added foam tape onto the backs of my images and adhered them into place and then stamped the 'You Lift Me Up' sentiment on the bottom right hand corner. Thanks so much for stopping by today, and make sure you check out the full release over at the shop at 7PM MST time.